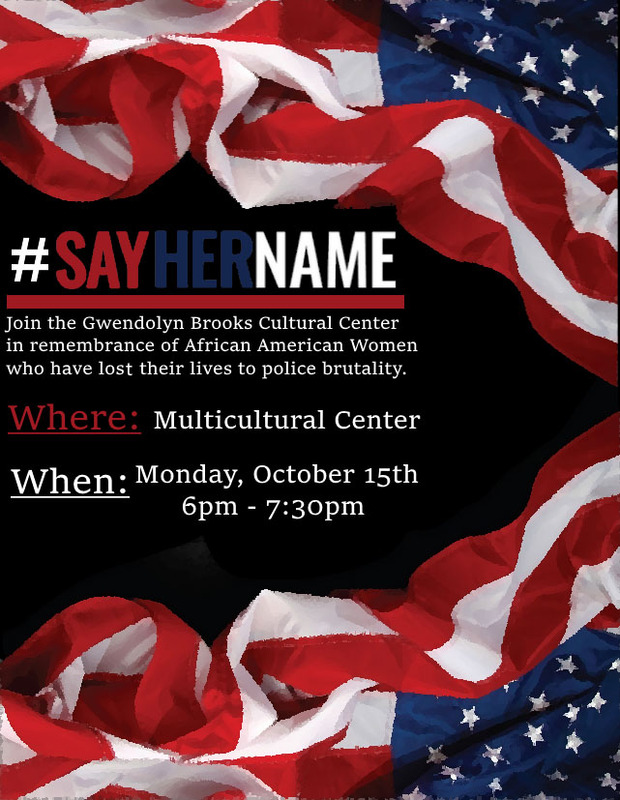 MACOMB, IL – The Gwendolyn Brooks Multicultural Center will host its annual #SayHerName campaign from 6-7:30 p.m. Monday, Oct. 15 at the center. The event was planned to bring awareness to social injustice for African American women who have lost their lives due to police brutality. The goal of the program is to present information and facilitate discussion for students. For more information, contact the Gwendolyn Brooks Cultural Center at (309) 298-2220.